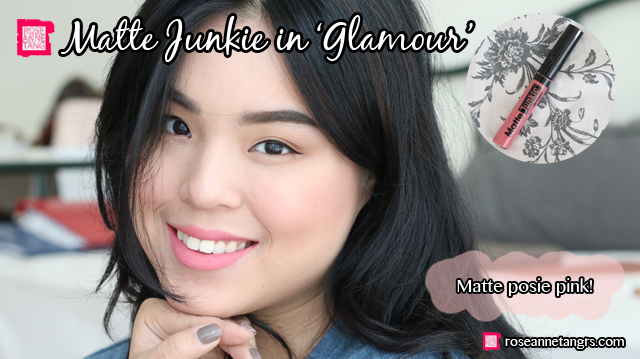 Today I’m super excited to share with you the new Silkygirl Matte Junkie Lip Cream and Perfect Sharp Eyeliner that I’ve been really liking and I can’t wait to give you my thoughts about them. Matte lip creams or lipsticks are all the range recently – they provide great pigmentation, offer a more natural lip finish and they last the entire day without smudging or smearing. Seriously, you could wipe your mouth with a tissue and there will be no transfers of product! Amazing right? Let’s get started. 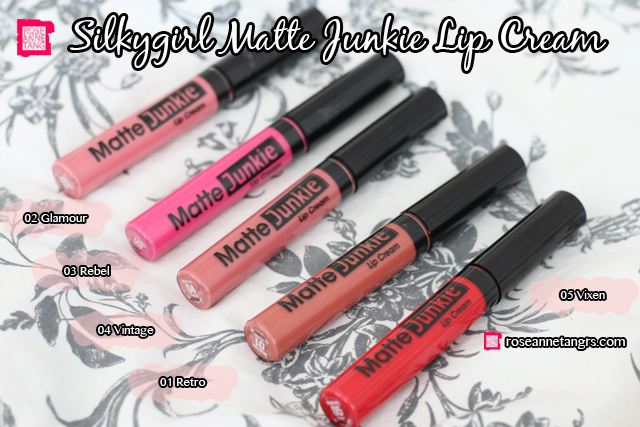 The Silkygirl Matte Junkie Lip Creams offer kissproof and transfer resistant lip color that applies like a liquid lipstick and dries to a matte finish. It’s lightweight, fragrance, carmine and paraben free! The applicator of the lip cream is a doe foot applicator which makes applying the product easy. I love how it offers wearable pigmentation and the shades of the lip cream are all hits in my opinion. Sometimes I feel like other brands who put out liquid lips with natural shades are all too light for me but as you’ll see later, the natural shades are absolutely amazing for any occasion. If you’re looking for an office friendly shade in matte liquid lipstick form, seriously look no further! 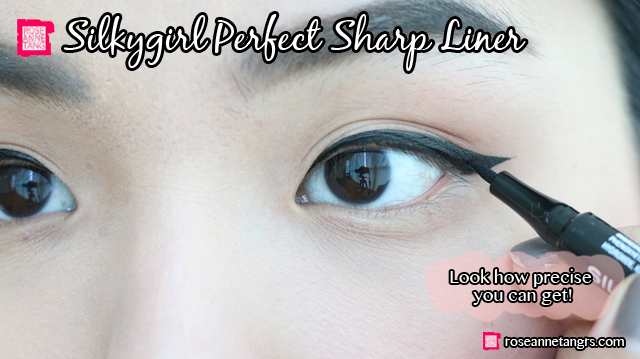 Another Silkygirl product I want to share with you is the Perfect Sharp Liquid Pen Eyeliner. I LOVE THIS. It’s absolutely amazing because the tip of the eyeliner is really different from other liquid eyeliner pens. 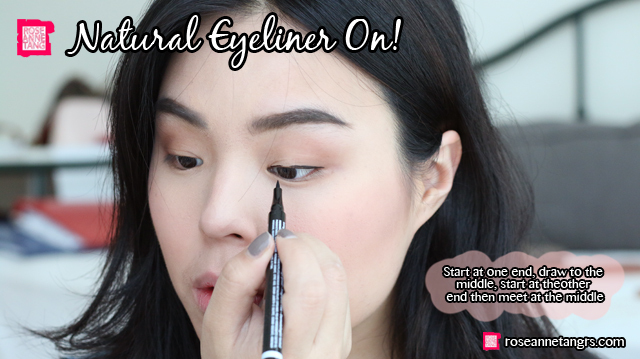 It has an extremely sharp tip (but don’t worry it’s still comfortable on the eye) and it’s felt tip instead of brush which offers you more control. I like how the tip doesn’t bend either as you draw but instead stays stiff so you can really get precise with it. My shade of the eyeliner is in Blackest Black and it really does offer a ton of pigmentation with the product flowing nicely out of the pen. 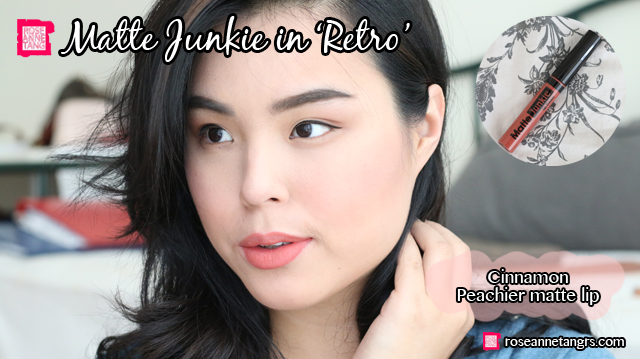 Today I thought I’d show you a couple looks with these products you can do and swatch the lip creams so you can see what they look like on the skin! Here’s my before picture – I’ve just went ahead and put my brows, eyeshadow and foundation on. I’m ready to add my lips and eyeliner on. The first eyeliner look I’m going for is natural since I want to put on the natural colors of the Matte Junkie Lip Creams. A great eyeliner tip is if you find it hard to draw a continous line – start at one end of the eye and draw to the middle. Then, start on the other end of the eye and draw to the middle to meet the other line. You can also tilt your chin upwards to see the full length of the eye. 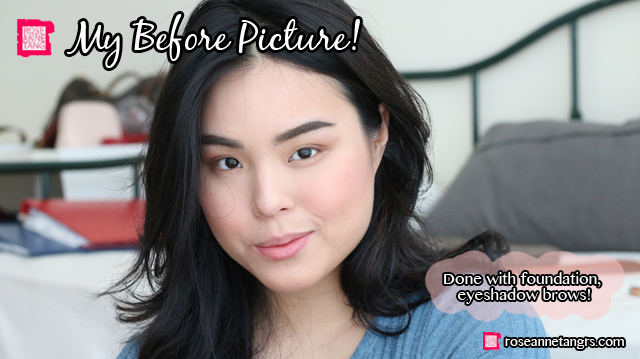 And there you have it, super easy natural eyeliner! The Silkygirl Perfect Sharp Eyeliner has excellent color pay-off, is long-wearing, waterproof, smudge-proof, fragrance-free and paraben free! It gives you optimal control because of the sharp tip! 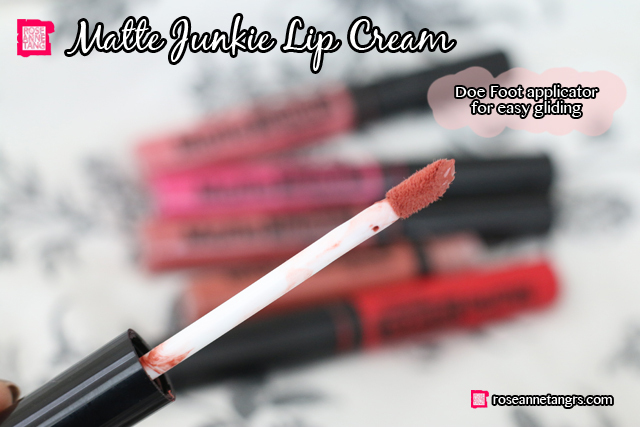 When applying the Matte Junkie Lip Cream, simply glide over with the doe foot applicator. There was a good amount of pigmentation at first swipe but even better, the formula feels really lightweight and comfortable on the lips. 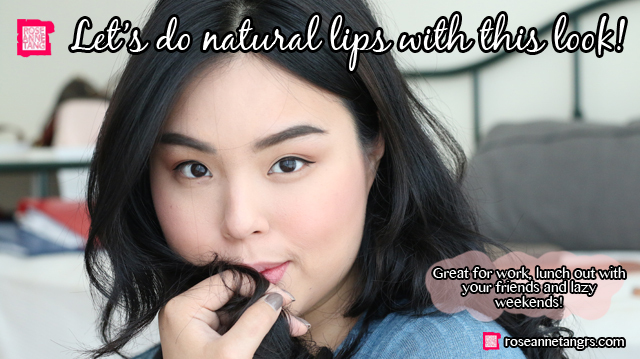 It dries to a matte finish and is non-transferable, meaning even if I kissed off a tissue, I’d still have it perfectly on my lips with no lip smears or marks! 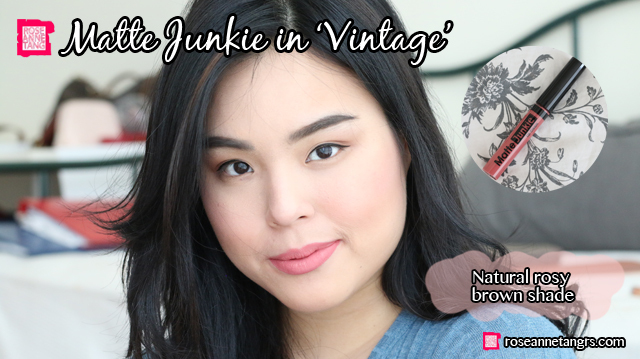 Here’s a couple of natural shade swatches – in Glamour, Retro and Vintage! Now let’s amp it up! 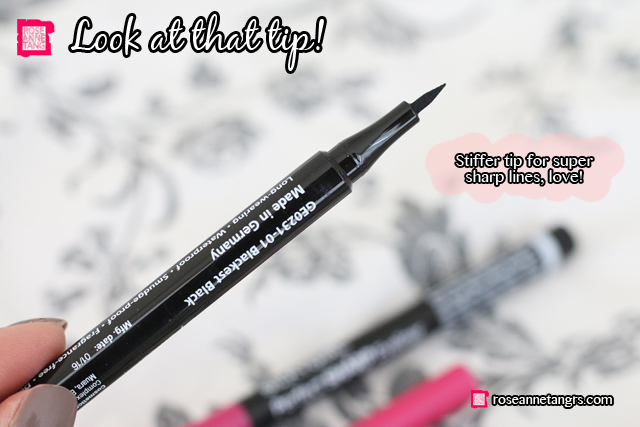 Can you see how precise you can get with your eyeliner if you have a stiff tip? The brush doesn’t bend or flop around when you draw your eyeliner making it easy to do your wings freehand. 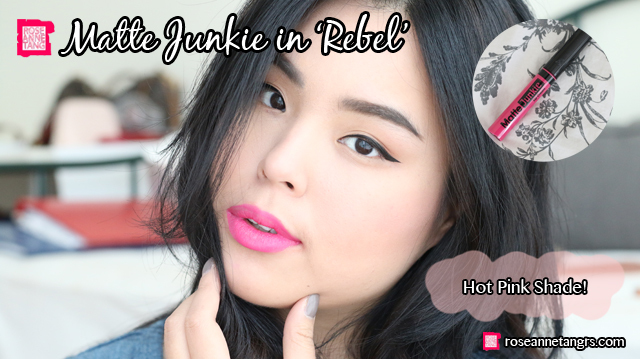 I decided to do a more winged eyeliner look for the more dramatic Matte Junkie shades in Rebel and Vixen! I absolutely love the red in Vixen. It’s the perfect warm red which is best for warmer skin tones like me! Overall, I’m really impressed with how on point the lip shades are – especially the natural ones. 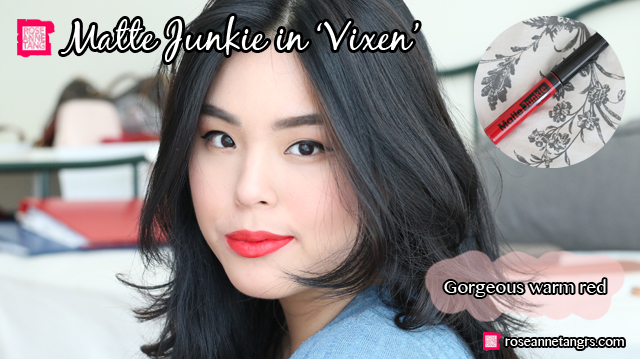 It’s really hard to find a natural shade that suits me and my favourite has to be in Vintage and Vixen. 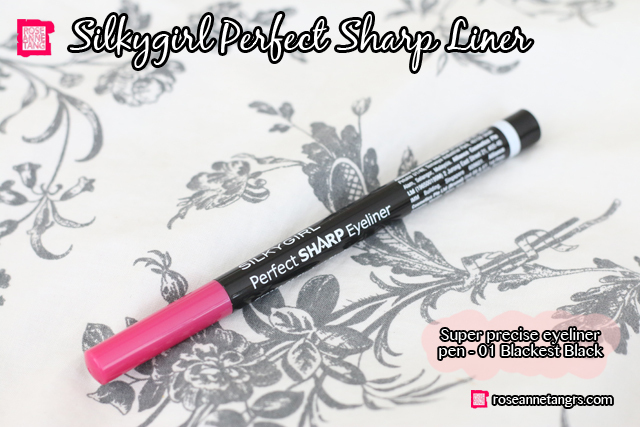 I also really love the Silkygirl Perfect Sharp Eyeliner, it’s an absolute must-have and it lasted all day. One of my make-up students even asked me what eyeliner I was wearing! To find out more, visit Silkygirl’s website and Facebook page. The links are below! 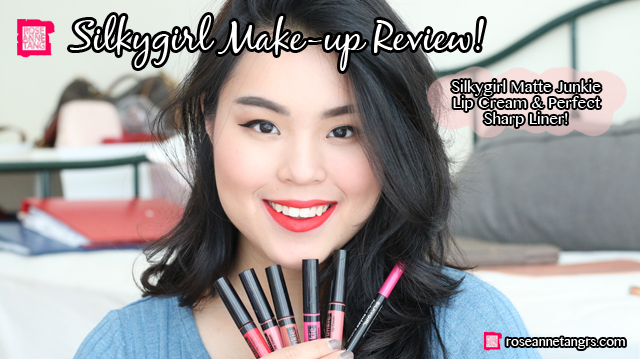 Thank you Silkygirl for helping me discover such wonderful products and for sponsoring this post!